Tex (Ch.Montwood’Arista’s Texas Hold ‘Em MX, MJS, XF, T2B,ROM ) was a very special dog with an incredible zest for life and love of everyone he met. 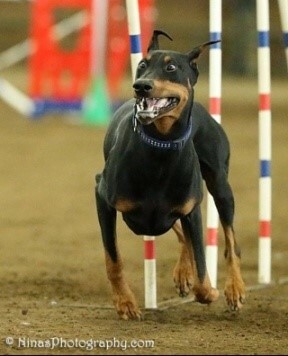 He was a Champion in the breed ring, passed the Doberman Working Aptitude Evaluation (WAE) with flying colors, and earned numerous performance titles, placing him on the Doberman Register of Merit. While he loved everything he did, there can be no doubt his favorite thing in the world was Agility. He ran the course with speed and intensity rarely seen in a dog of his size. This love of running, jumping, tunnels, and best of all weaves, put him consistently at the top of his height class in trials, as well as establishing him as one of the fastest Doberman Pinschers in the country. 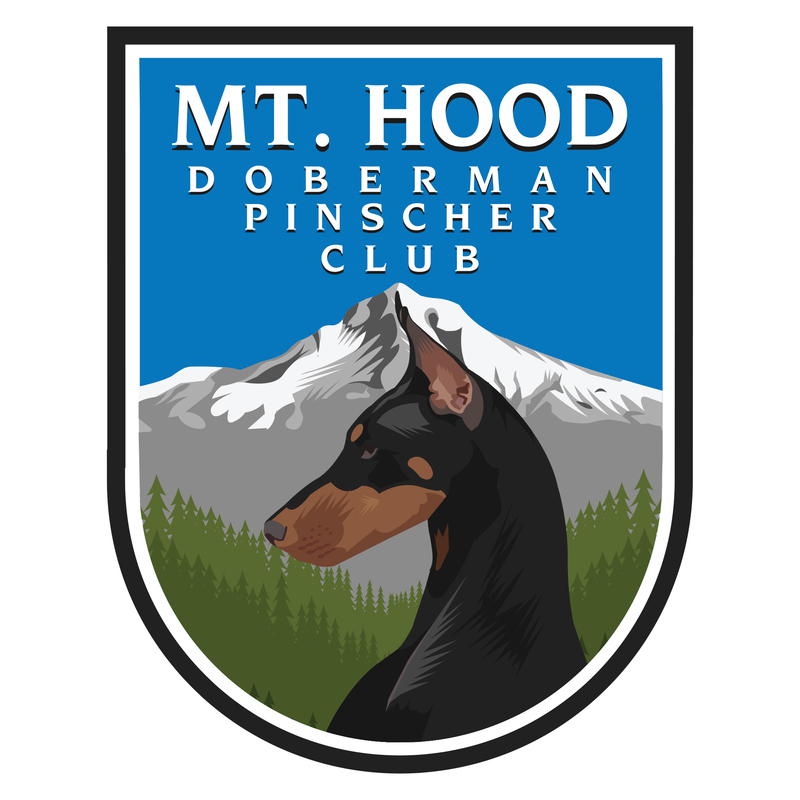 Tex and his owner / agility partner, Mike, twice traveled to the Doberman Pinscher Club of America Nationals where they were invited to compete in the Weave Pole Challenge at the annual Top 20 Event. Tex won the competition both years and earned a large fan base and cheering section in the process. On November 13, 2015, Tex had just completed an agility course at a local competition. As Mike was putting his leash back on him to lead him out of the ring, Tex collapsed and succumbed to undetected Cardiomyopathy. Although he died doing what he loved best it was a devastating moment for Mike and everyone at the competition. Tex’s death was unexpected. He was tested regularly for this disease and had a perfect Holter report less than 6 months prior to this tragedy We hope to raise money through this booster campaign to help fund research that will be of significant help to breeders and owners in making decisions that can help reduce this disease in this magnificent breed, and allow dogs like Tex to have longer lives in the future. NC State Veterinary Medicine Foundation – Canine Cardiomyopathy Fund. There is also an online fundraiser selling Tex’s Tribute t-shirts with proceeds going to the same fund. For information on how to donate directly to the fund without purchasing a T-shirt click this link and choose the Canine Cardiomyopathy ‘Zeus’ Fund .